Discharging a sump pump into the city’s sanitary sewer system is a big ‘no-no’. 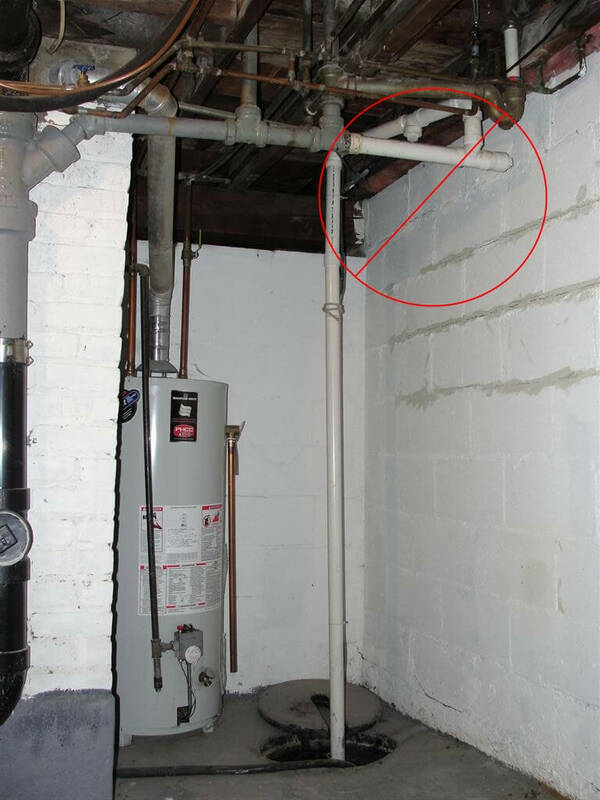 While this might seem like an easier and more attractive option than running a discharge tube from the sump pump to the exterior, it’s illegal in most cities here in Minnesota when the home is connected to the city sewer. One reason that cities don’t allow this is that during big storms their sewage treatment facilities can be overloaded. When this happens, either sewage backs up into people’s homes, or the sewage water only gets partially treated before being dumped in to local streams and rivers (yuck). The City of Golden Valley has a nice diagram of how this works at their web site. 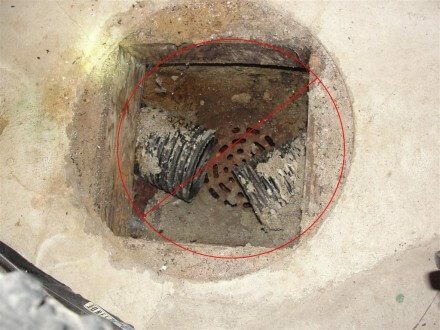 They’re so serious about preventing this problem in Golden Valley that they require a sewer inspection before a property is even offered for sale. The other reason that sump pumps shouldn’t discharge to the sanitary sewer is that municipal water departments bill homeowners for their sewer usage based on their water usage. When a sump pump discharges into the sanitary sewer, the city has no way of tracking and billing for this additional usage of the sewer. When a homeowner discharges their sump pump in to the sanitary sewer, they’re getting a service for free that everyone else has to pay for; it’s like tapping off electricity before the meter. If you have this type of setup at your own home, the ‘good citizen’ thing to do is to make the sump pump discharge to the exterior. In last weeks post on sump system defects, I gave some advice on how this could be done without having the line get blocked with ice during the winter. The photos below show a couple variations of this improper setup. The first photo below shows a sump pump connected directly to a sewer line. 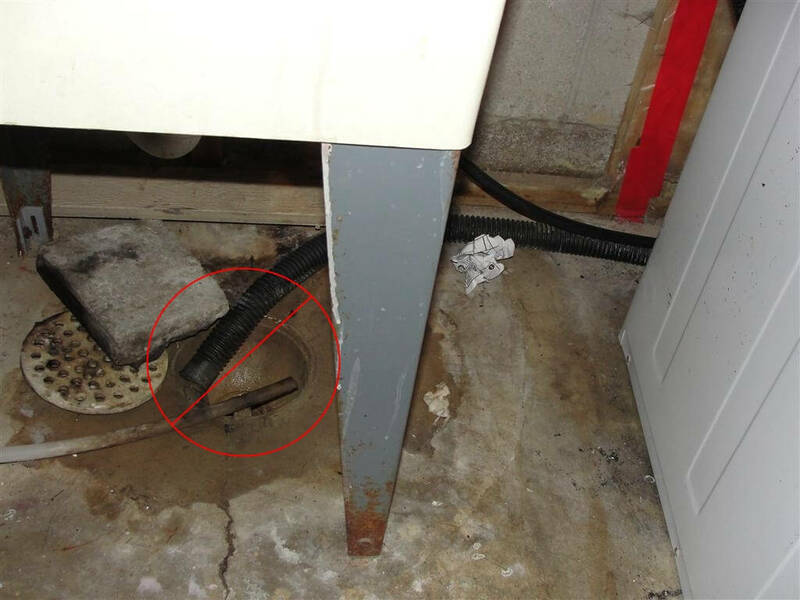 The next photo shows a corrugated discharge tube from a sump pump directed to a floor drain, which drains to the sanitary sewer. Finally, one more version of this that I’ve found at a handful of homes in Minneapolis is a very shallow sump pit with a floor drain at the bottom of it. The black corrugated tubing coming into the sides of the pit is drain tile, and the floor drain at the bottom drains to the sanitary sewer. In Minneapolis this is a required repair item for their Truth-In-Sale of Housing program, and a permit is needed to correct this condition. When you have different options as to where the water can be discharged to the exterior, how do you know which is the best place to position the discharge pipe? The discharge tube needs to terminate in a place where it won’t cause a nuisance, and where the water won’t drain back towards the property.